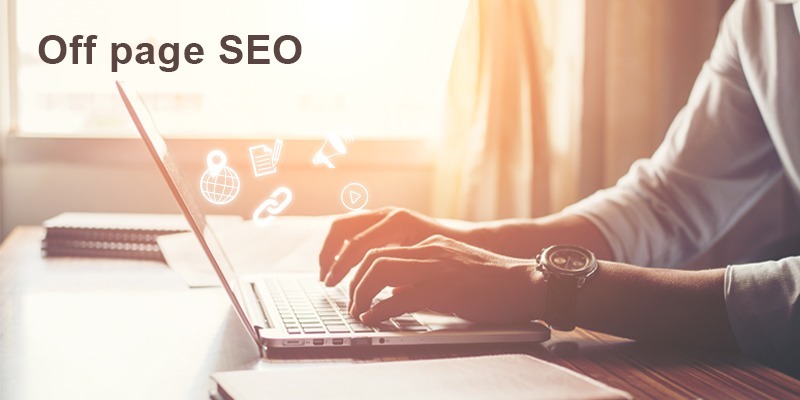 Off-page optimisation or SEO is important to your site’s success in order to establish your brand’s online reputation and increase your visibility in search engines and on other sites. First we should understand the differences between on page and off page optimisation or SEO. On-page typically relates to the optimisation techniques that are applied directly to your website, such as copy changes and code optimisations to improve page speed for example. Off page optimisation involves techniques that work at building up your optimisation that aren’t directly onsite through your content, links and offsite relationships. Off page optimisation is about getting your brand out there on the web and sending positive signals back to Google and your prospective customers via the way of links from other sites, reviews and other content relationships that. Links for example are what we call ‘votes of importance’ from other sites to yours, signalling to Google and other search engines that your site is trusted, from another trusted source. Of course not all links are created equal and you ideally want a natural backlink profile that’s been built-up over time with a variety of link types and relevance, some linking to your homepage and others linking to content deeper within your site. Off page SEO influences your brand and reputation as well as rankings. Others may read about your business online via other sites or social media before they even view your website, so it’s important you are represented well offsite. There’s no one size fits all solution to off page optimisation. Depending on your brand and products or service, there will be a variety of off page SEO techniques that will suit your marketing goals. Off page SEO is just as important as on page SEO , so to be successful you have to do both. Need help with off page optimisation to align with your digital marketing strategy? Strategus are experts in SEO and digital marketing techniques that help attract new customers to your site. Read more about our SEO services or get in touch with us to see how we can help.